You can’t see me ..
We had a family get together in Springfield on Saturday. I took my camera so I could capture some special family photos. Just to the west of Garbry Big Woods Sanctuary we saw this young dear standing in the road. 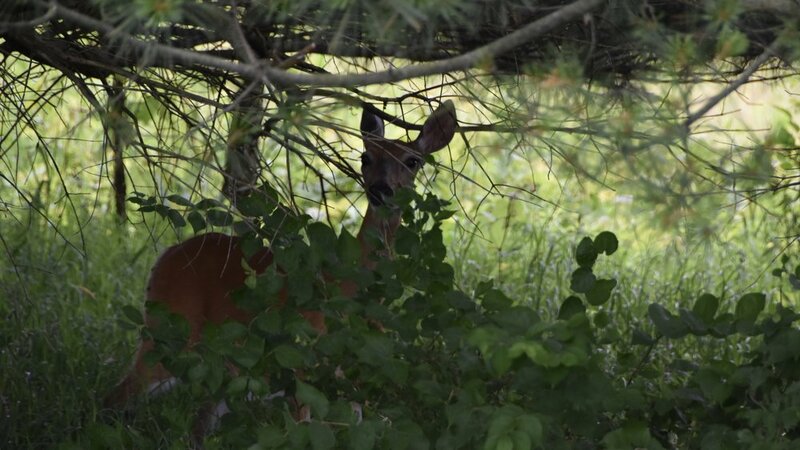 She just watched as we drove closer, then darted into the tree cover. I figured she was gone, but she was just off the road, in the trees, watching us. Cute.